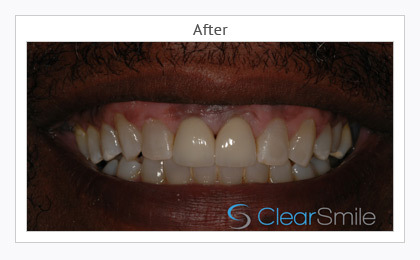 The ClearSmile Brace system levels and aligns your teeth and improves your smile using white rather than silver wires that blend in with your teeth. The wires use shape-memory technology meaning they will return to their original shape regardless of how they are bent. This creates gentle forces to move your teeth to the desired position. 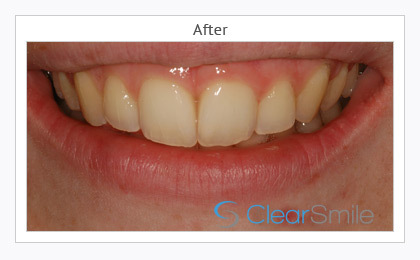 ClearSmile Brace uses clear brackets, as opposed to metal and the wires are coated with a tooth-coloured material. 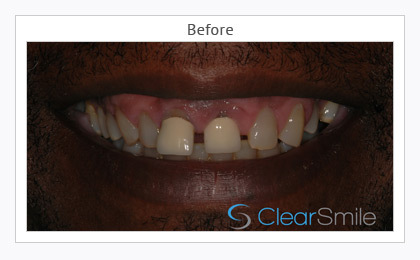 As a result, the ClearSmile Brace system is less visible than traditional fixed braces. Yes. You must wear a retainer for life if you wish to maintain the results of any orthodontic treatment. 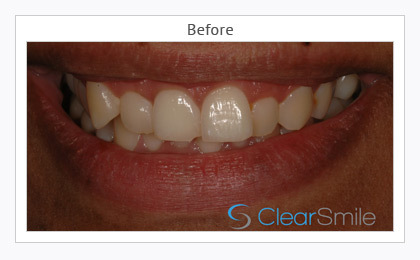 ClearSmile Brace is no different. 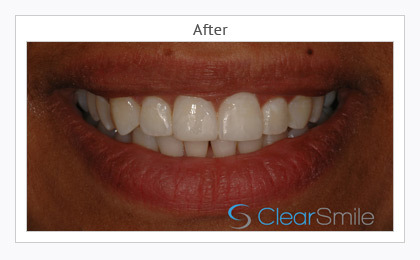 ClearSmile Brace uses a fixed retainer bonded to the back of your teeth and a clear retainer moulded to fit your teeth. 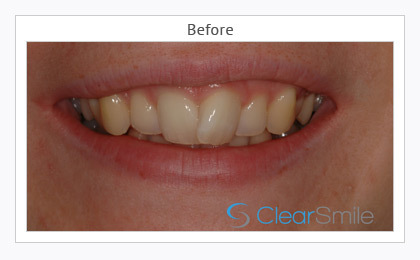 Smile Essential in Leicester is delighted to offer ClearSmile Braces that use clear brackets and tooth-coloured wires that blend in seamlessly with your teeth. The ClearSmile Brace system in Leicester is far less visible than traditional, metal fixed braces so you can fit your orthodontic treatment in with your lifestyle. ClearSmile Braces at Smile Essential levels and aligns your teeth and improves your smile using special wires with shape-memory technology. This means the revolutionary wires will return to their original shape regardless of how they are bent. This creates gentle forces to move your teeth to the desired position. 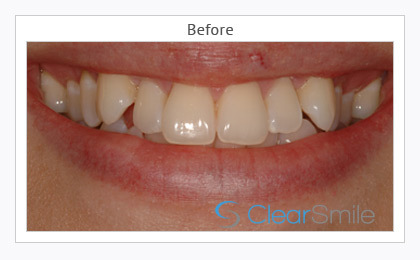 ClearSmile teeth straightening can treat a whole range of problems and orthodontic treatment helps improve your oral hygiene because straight teeth are easier to keep clean. A full assessment with one of our certified dentists will evaluate your teeth for suitability for ClearSmile Braces and they will advise on treatment procedure, duration, benefits, risks and costs. We offer a free consultation for teeth straightening with ClearSmile Braces, so, if you are considering this treatment and would like to find out more, please contact us today to book. To keep your new and improved teeth straight for life we advise our patients to wear a retainer to maintain the results of any orthodontic treatment. With ClearSmile Braces we will bond a fixed retainer to the back of your teeth and create a bespoke clear retainer moulded to fit your teeth.